However, we would not have reached the peak of the knowledge we have today if it weren’t for some of the earliest physical therapists whose work launched this field into such a rewarding practice area. 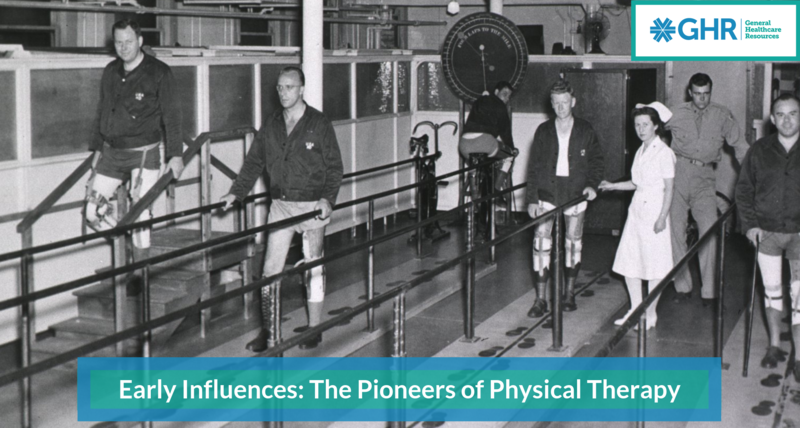 Below are some of the most notable pioneers of physical therapy. Geoffrey Maitland revolutionized the methods by which physical therapy patients are evaluated and treated. Known as the “Maitland Approach,” his evaluation method emphasized meticulous and comprehensive examination of the afflicted area, followed by a specific and precise treatment. Maitland encouraged detailed assessment of the effects of that treatment on the patient, which today, has formed the method for the modern clinical diagnosis and treatment that are still used today. Additionally, Maitland was a co-founder of the International Federation of Orthopaedic Manipulative Therapists in 1974 and continued to actively participate in the organization for the remainder of his career. Elizabeth Kenney began her career working with children suffering from polio and, at the onset of World War II, also treated meningitis patients. At the time, the standard treatment for paralysis was to immobilize affected limbs. However, Kenny developed a regimen of hot compresses and mobility exercises that prevented deformity and muscle atrophy. Unfortunately, she received significant pushback in her homeland of Australia, so she traveled to the United States where she gave lectures about her successful methods. Eventually, the Journal of the American Medical Association endorsed Kenny’s treatment techniques, which initiated a complete transformation of paralysis therapy. Stanley Paris dedicated his career to educating the next generation of physical therapists. He began giving lectures in 1966 and taught dozens of professional education courses on the subject. Just over ten years later, Paris founded the University of St. Augustine, which, to this day, continues to specialize in orthopedics and manual therapy. The school continued to develop a number of specialized degrees that allowed students to gain specific experience, knowledge and training. Paris continued to operate the school until 2007, providing countless opportunities to thousands of students across the country. Shirley Sahrmann is most recognized for developing the movement system impairment syndrome classification system that physical therapists continue to use today to diagnose and treat a number of musculoskeletal conditions. Furthermore, Sahrmann is a renowned scholar and educator in the field of physical therapy. She taught these techniques at Washington University in St. Louis, and also served on the board of directors for the American Physical Therapy Association. Known as the "father of orthopedic medicine,” James Cyriax provided innumerable contributions to sports medicine and physical therapy. During his 40-year career as an orthopedic surgeon at St Thomas’ Hospital in London, Cyriax developed a system of clinical exams to diagnose and alleviate soft tissue lesions. 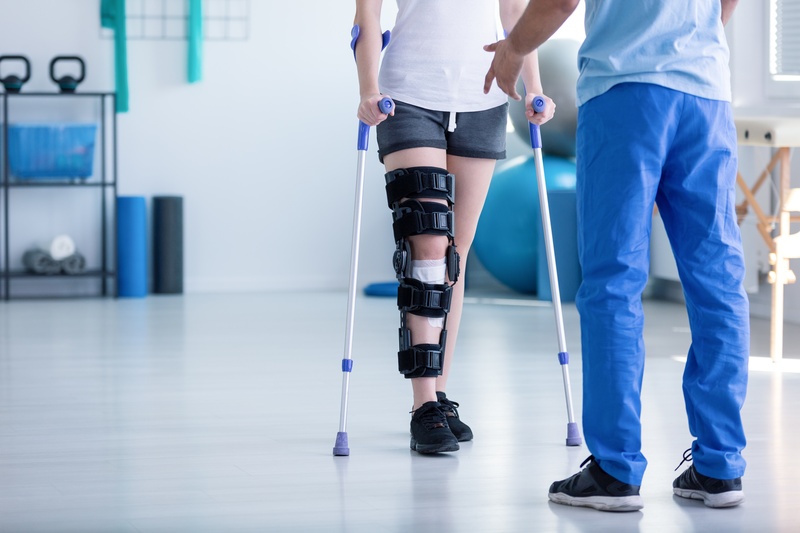 His innovative ideas, also known as the Cyriax Rule, have shaped the manner in which physical therapists evaluate their patients and has led to the extensive understanding we have today of orthopedic medical evaluation. Specializing in lower back dysfunction and treatment, Robin McKenzie was a prolific academic and author of dozens of scholarly articles on physical therapy. Most notably was McKenzie’s treatment theory known as the McKenzie Method of Mechanical Diagnostics and Therapy. This method altered the disposition of back pain treatment and led to the development of the theories and practice treating mechanical disorders of the spine. McKenzie went on to also develop the McKenzie Institute to provide educational courses for aspiring physiotherapists and carry out further research and training. Could You Be The Next Physical Therapist Pioneer? Like you, all of the amazing physical therapists noted in this article had to start somewhere. Geoffrey Maitland, Elizabeth Kenny, Stanley Paris, Shirley Sahrmann, James Cyriax, and Robin McKenzie wouldn’t have achieved notoriety if they had not held a job in this rewarding and growing field. If you are interested in a physical therapy job, look no farther! We post physical therapist jobs on our site daily. Visit jobs.ghresources.com and get your new job in physical therapy today!